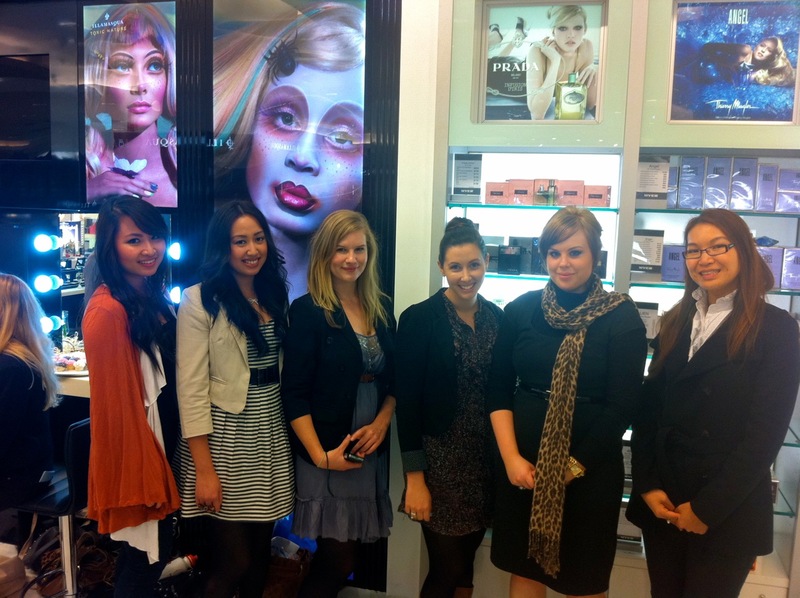 Illamasqua meets the Brisbane Beauty Bloggers! 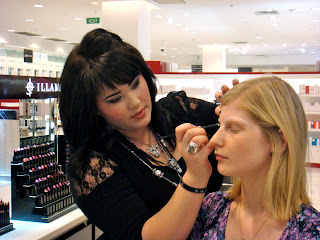 Last Friday I met with the fantastic Brisbane Beauty Bloggers. We had all been in touch on Twitter and email before, but as wonderful as online is, there’s nothing like meeting face to face. 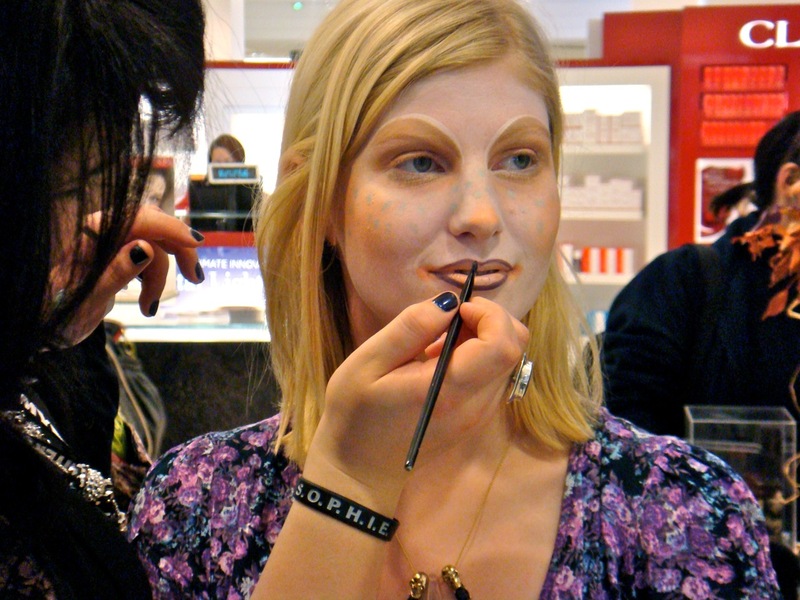 We met up on the Brisbane counter at Myer City and it was exciting for some of them as they were meeting other beauty bloggers for the first time. Brisbane has a great bunch of beauty bloggers who have just started coming together as a group, like their counter-parts in Sydney and Melbourne. Brisbane Bloggers’ L to R – Dana from Blushfully, Yolanda from Shopping Intervention, Tegan from Tegania’s Thoughts, Sarah from Hip & Haute, Annica from Haute & Stylish, Jen from Pinkribbons. Then we chatted and played with the Illamasqua make-up – most of them were already quite familiar with it, but it was great to show them new uses for favourite products and just to talk. Store security nearly had to ask us to leave we were chatting so long, so we ended out going out for dinner afterwards and drinks, which was amazing. 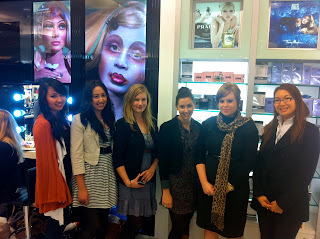 Australia is so lucky to have so many passionate, interesting and devoted beauty bloggers, and Illamasqua is lucky to count them as friends. Until next time, Brisbane!